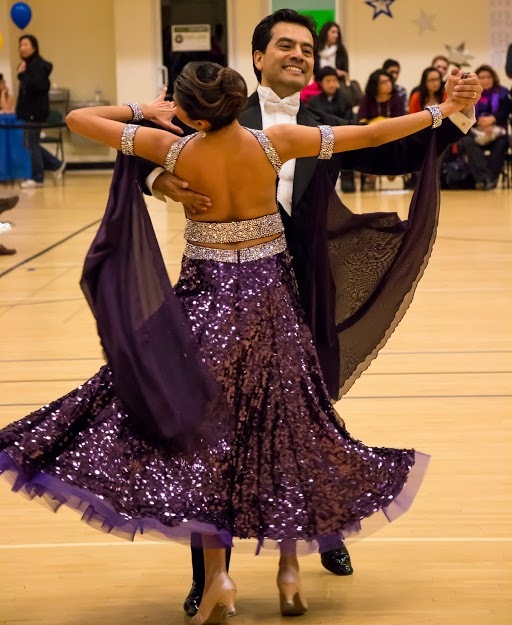 The team did very well at the SJSU Ballroom Classic. Congratulations to our team members and alumni who competed: Ali Hammond, Ben Lin, Marie Grap, Colin Keane, Christopher Ellwood, Julia de Moor, Amy Leung, and Khoa Nguyen. One of the team’s many notable achievements was placing 3rd in the Team Match! 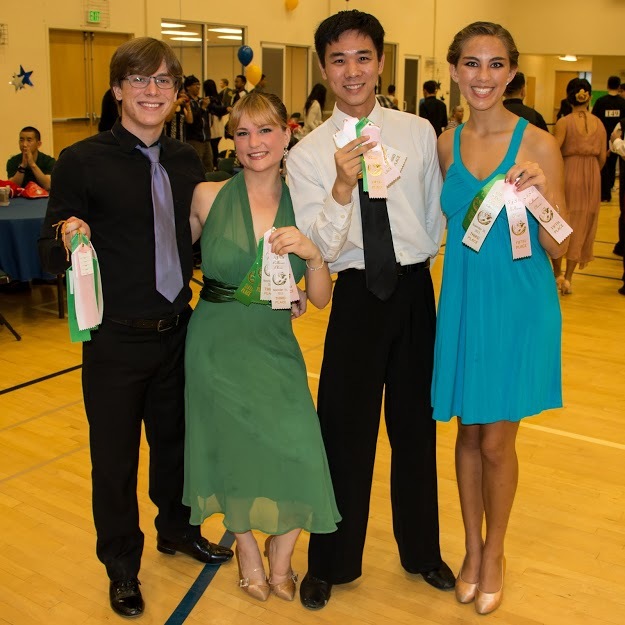 Competitors Colin Keane, Marie Grap, Benjamin Lin, and Ali Hammond with their awards for American Smooth. We also enjoyed seeing some of our alumni, who came to compete and support the team. We love you guys! 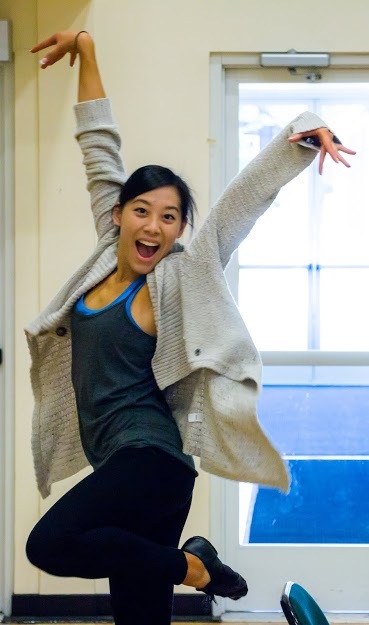 Our former president, Amy Leung, joined us as a competitor at the SJSU Ballroom Classic. As always, the competition itself was an enjoyable experience. There were many great dancers and plenty of inspiration to continue dancing and improving. Thanks for showing us a good time SJSU! There was no shortage of beautiful costumes at the competition. Check out that dress!